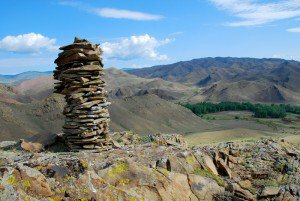 According to information from Russian Geographic Society, excavations of next kurgan began in Tuva, at the Eerbek-10 archeological site. The work is led by TIGI archeologist Nikolai Smirnov. A burial of Kok-el culture(i.e. Hunnic-Sarmatian era, approximately 2nd-6th century of Common Era, just before the Turkic period). 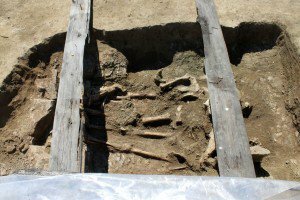 The burial yielded human bones - a young woman or a young man, who was presumably covered with a skin of a horse ( horse skull and bones were found as indirect evidence). It is already obvious that the site was partially robbed. It is planned to finish the preliminary study of the finds several days, and to provide a more accurate date. – Zoya Bairovna, the fundamental series "Monuments of Folklore of peoples of Siberia and Far East" has three Tuvan volumes . How did this immense work originate? – It is more accurate to say: not how, but who. Doctor of philological sciences, Professor Soktoyev started it all. In 1983, Alexander Badmayevich moved from Buryatia to Novosibirsk, and be3came the organizer of the Siberian people's folklore section, the first director of Philology institute of the Siberian section of Russian Academy of Sciences. And he founded the series "Monuments of Folklore of peoples of Siberia and Far East"; the plan was for sixty volumes. She is one of those who know what to do with their life and what to do in this life to fill it with meaning and content. Literaturologist and folklorist Zoya Samdan is not a desk scholar. 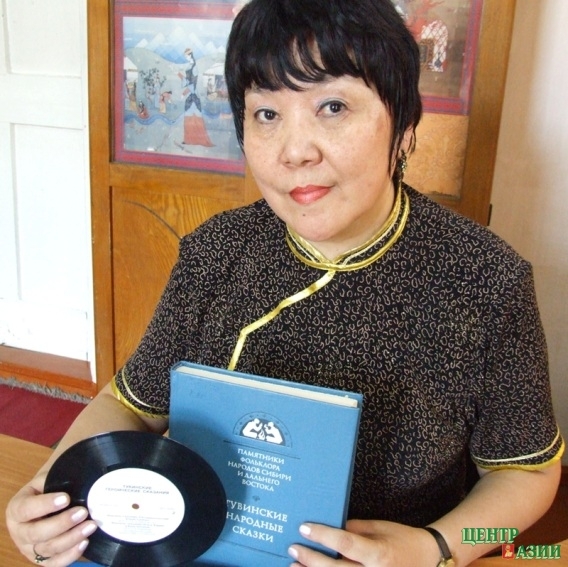 She has spent thirty-seven years collecting oral Tuvan folk art - tales and myths. 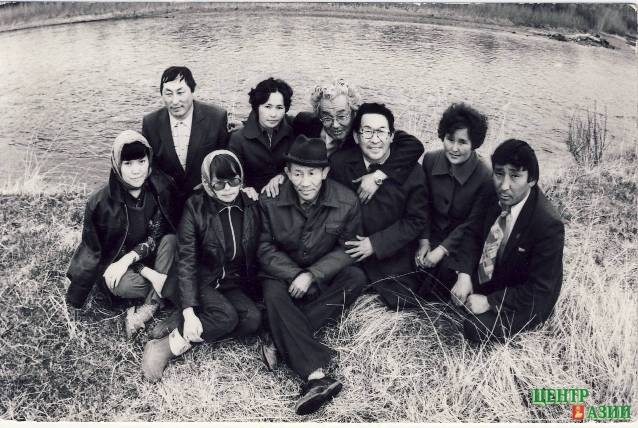 And Tuvan story-tellers, speaking in their native language and in Russian, have added their voices to members of other nations in the multi-volume series "Monuments of Folklore of Peoples of Siberia and Far East" - a huge project of Russian scholars from various republics that was begun in 1983 and continues to this day. The epic connected with her work on two volumes of this series - "Tuvan folk tales" and "Myths, legends and traditions of Tuvans" - she considers a gift of fate. 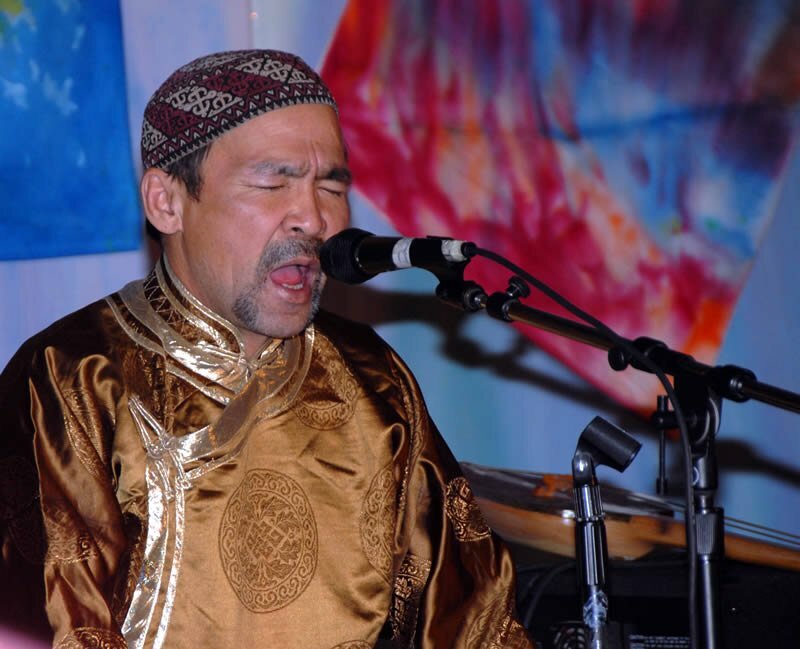 On 13 July, the 13th International Festival of Live Music and Faith "Ustuu-Khuree" will open in Tuva. Among the headliners of one of the most famous music venues of Siberia are Sainkho and Garlo (France), GenDos and Svatava Drichkova (Czech Republic), Albert Kuvezin (Tuva), Sofia (Kara-ool-Dulush and Wind Instrument Orchestra of the Government of Republic Tyva, and group "Khartyga". On the opening day, there will be horse races, dedicated to 90th anniversary of the republic and an evening concert at Chadan stadium. The concert program will be started off by Sainkho and Garlo(?). 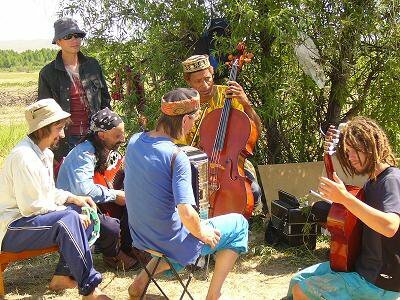 On 20 July in Ulan-Ude in Buryatia, there will be a performance by the prominent Tuvan group Huun-Huur-Tu at the Third international festival "Voice of the Nomads". Baikal-Buryatia". This group has been called the model of high taste and style, which is why the group became a world-scale star, firmly entrenched within the elite of World music of the planet. "Novaya Buryatiya" presents an interview with Radik Tyulyush - soloist of the group, with which he has been working for six years. On 15 June, Photo-expedition "Trans-Sayany", organized by national photo-archive "Feofoto" (Leaders of the expedition: Mikhail Genis, Vadim Shtrik; scientific consultant Anastasia Veshchikova), is arriving to the Alygdzher village( Tofalar municipal unit, Nizhneudinsk district, Irkutsk region). Alygdzher is the largest of three main settlements of Tofalaria, originating at the confluence of two rivers - Uda and Kara-Buren, in the location of former Cossack border garrison (according to Burinsk Treaty of 1727, the border between China and Russia stretched along the Udinsk mountain ridge). In Moscow, the "Mosfilm" studio filmed Vladimir Martynov's ethno-mythological suite "Children of the Otter" on Velimir Khlebnikov's theme. Prominent collectives took part in the project - Perm Choir "Mlada", internationally famous ensemble of Tuvan throat singing "Huun-Huur-Tu", and Moscow string ensemble "Opus posth". The recording of the concert version of this "Made in Perm" project was done in the course of four days in Moscow's largest and most impressive studio. The first premiere took place in perm, two years ago. That is when the collectives started their joint project. The current recording should be released in October 2011. 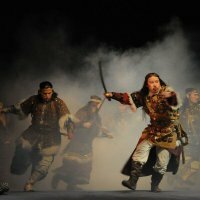 In Kazan, International festival of theatre art of Turkic people "Nauruz" just closed. Tuva was represented there by V. Kok-ool Theater of music and drama with the play "Kultegin". Tuvan actors presented their work on the stage of K. Tinchurin Tatar theatre of comedy and drama last Thursday evening. The hall was packed. The show went on in one breath. The actors' performance held the audience's attention from the first to the last minute of the production. The festival's experts, in judging the play, especially noted the expressive acting of Oleg Sat and Stanislav Iril, and the feminine acting of actress Aizana Chylbak-ool. The director-producer of the play Alexei Oorzhak played the role of Alp Eletmish. Merited artist of Tuva and Yakutia Eduard Ondar came back from filming in Kazakhstan literally for only a few days. On Wednesday, 25 May, he played in the "Kultegin" play on his native stage, and today at noon he is already leaving for Kazan with the group involved in this production, to take part in the 10th International Theatre festival of Turkic people. And already on 4 June, Eduard will be leaving the Tatar capital for Alma-Ata (Almaty). In all this activity, he managed to make time for this interview, and came to the journal's office. And with him he brought a recording of a small trailer, a fragment of material filmed in Kazakhstan. He made an exception for "Tuvinskaya Pravda", and decided to publish photos from the filming in the journal . Which we are doing with gratitude. An internet web site for the youngest readers of Russia, the first literature site in Tuva for children opened on the eve of Children's Day. Tuvan folk tales, proverbs and sayings, the best novels, stories and verse for children, which were at various times created for children by Tuvan writers and translated into Russian are presented on the portal. "Raduga Tuvy" (Tuvan Rainbow) is one of the first stages of social project "Tuva chitayushchaya" (Reading Tuva).